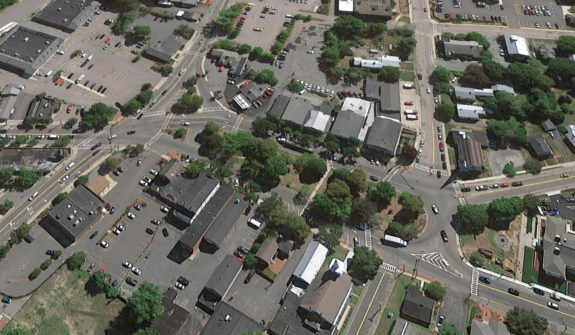 HSH is assessing pedestrian safety in the Central Square area, Bridgewater’s Central Business District. 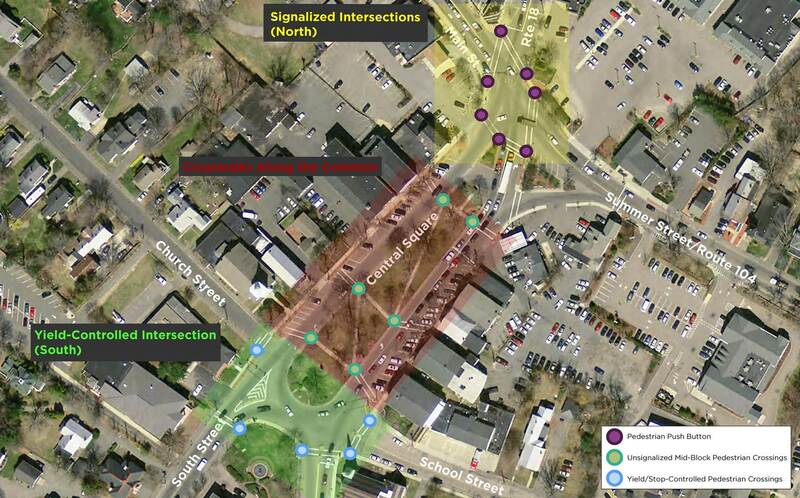 HSH will review existing data from the Downtown Plan, the Old Colony Planning Council’s Central Square Parking, Bicycle, Pedestrian, and Traffic Operations Improvement Plan, and any other available vehicle, bicycle, and pedestrian counts to determine travel patterns in the Square. HSH will also review all sidewalks, curb ramps, pedestrian signals, and crosswalks within the Square for Americans with Disabilities Act (ADA) compliance. HSH will develop up to three concepts on aerial base maps, as well as provide the Town with preliminary, order-of-magnitude cost estimates, and estimated time tables for design and construction of the improvements. HSH is also creating a Complete Streets Prioritization Plan that widens the scope required by MassDOT. 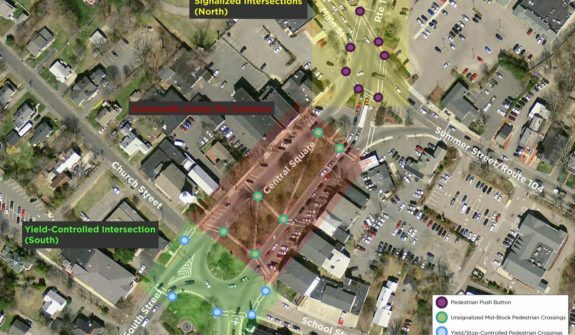 The Tier 2-funded project’s scope of work includes significant data collection such as improving signal and ADA inventories, as well as identification of 15 or more top projects for increasing walking and biking. The Plan will serve as a Complete Streets road map that is easily updatable for decades.